Kerriann Herdelin joined GPTL in 2010 and has grown the National Junior Tennis & Learning from 50 players a year to approaching 2000 players yearly. She has over 20 years of tennis experience and educational leadership. She oversees all business operations and programming, including Administration, Communication, Advancement, Community Outreach Programs, Events, grants and innovation. Kerriann earned a bachelor’s in Elementary Education, a Masters in Special Education and studied Educational Leadership. She was a Division I scholarship player at Niagara University. Kerrian coached The Hill School tennis team connecting her with GPTL. Kerriann has three daughters that all play tennis. Chris Herdelin, GPTL’s Head Pro, has been appointed to a new position as Director of Strategy, Analytics and Outreach funded by the USTA Foundation. Chris will foster improvements in tennis, education, health, and fitness using data to track and evaluate individual performance and offer suggestions for increased productivity and overall growth and development. He has a Bachelor of Arts in Economics from Thomas Edison State University, Bachelor of Arts in History from Eastern University and is currently a Graduate Student at Texas A&M University working on his Masters of Science in Financial Economics. Chris has been part of GPTL from 2010 mentoring all year-round tennis programs and has an extensive tennis background. Chris was a Director of High Performance at the Arthur Ashe Youth Tennis Center in Philadelphia, where programs focus on exposing disadvantaged youth to lifetime tennis play. Chris’ focus for GPTL will include surveying customer experiences, optimizing pricing, grant research, and submissions, analyzing economic parameters, tracking performance metrics and applying data to implement mission focused strategies and to build partnerships. For the after-school program, he will evaluate the performance of the participants and design the curriculum with a focus on health, fitness, education and tennis. 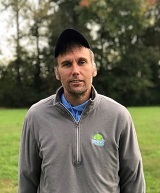 Brian McGhee oversees all aspects of our Junior and Adult programs; including scheduling, hiring, staffing, programs, tournaments and all player development. Previously, Brian served as the Director of Player Development at Legacy Youth Tennis & Education Center in Philadelphia (previous Arthur Ashe Tennis & Education Center). Brian developed numerous players that have attended colleges such as; Harvard, University of Pennsylvania, Texas A&M, Duquesne, Emory, Marquette, Navy, University of Delaware, LaSalle, Goucher, North Carolina A&T to name a few. Brian has been teaching tennis for over 26 years. He earned a top 20 junior ranking in Middle States and was awarded a Division 1 tennis scholarship to Central Connecticut State University. Brian earned the best record of the team of 28-5 at #3 singles. Brian is USTA High Performance and USPTR certified professional. He was appointment Zonals coach for USTA Middle States section for several years and served on the MS USTA High Performance Committee from 2010-2012. In 2010, Brian developed 11 of the top 20 boys in Middle States 16u Division. He also held the position of Junior Development Director at HPTA in Bala Cynwyd where he grew the program from 5 committed high performance players to over 250 players. Brian began his love for tennis in the Bill Johnson Tennis Program in the Parks of Philadelphia. Bill’s influence would prove to be one of the many catalysts for Brian becoming a tennis coach. After 2 years in the Bill Johnson Program, he began training at the Arthur Ashe Youth Tennis & Education Center as a scholarship player. Without the financial assistance that both programs awarded him, he would not have had the opportunity to play and ultimately have a successful career in tennis. Brian is married and has two young children that also have a love of the game. He plans to “PLAY IT FORWARD” with GPTL! Maryellen Wilson joined GPTL in 2009. As Administrative Manager, she manages administrative and support operations that include program registrations, communications, website content and Leagues organization. 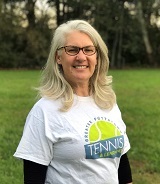 Maryellen has over 45 years of tennis playing experience and has PTR Certifications for Adult Development and 10 and Under Tennis. Maryellen is a graduate of the University of Delaware and played four years of Division I Varsity tennis for the Blue Hens earning MVP honors. For several years, Maryellen coached the Pottsgrove High School Boys’ and Girls’ tennis teams. Chrissy Chase Sinatra combines her life-long love of tennis with a passion for youth empowerment programs and non-profit advocacy. 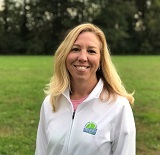 Chrissy is the first person to serve as Development Director for a regional NJTL chapter funded by the USTA Foundation. She oversees and implements communication strategies for raising vital funds by championing philanthropic relationships with donors, sponsors and EITC contributors. Chrissy grew up playing and coaching tennis. Her father started the first tennis camp in the United States, Chase Tennis Camps, and was instrumental in defining tennis education by inspiring thousands of players and coaches. Philanthropy is not only a responsibility it is a necessity and there is no greater satisfaction than being generous to a brighter future. Lauren Perez Bralski oversees facility management and scheduling as well as coordinating all social media platforms. Lauren has over 25 years of experience playing tennis, competing in USTA Tournaments through elementary and high school. Lauren completed her Bachelor of Arts in Economics at Haverford College where she also competed on their Division III Varsity team. Prior to taking time off to raise her children, Lauren attended Temple University for an MBA in Strategic Management as well as worked on the management team of back office operations for Prudential Financial. While with Prudential, Lauren trained for a Green Belt in Lean Six Sigma. Lauren became involved in the non-profit community as a teenager, volunteering for the community arts center during summer camps and after school programs. Most recently, she was a member of the Community Engagement Council at Prudential where she organized events joining volunteers with local 501(c)(3) organizations. Karen Canuso is active in the tennis and non-profit community. She has a BS in recreational Therapy from Temple University. Karen has worked at Shriners Hospital for Children as a Certified recreational Therapist where she specialized in adaptive sports. She also coordinated a wheelchair tennis tournament for Magee Rehabilitation. Karen’s passion for tennis started in high school where she was All-Catholic. 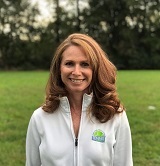 After taking a break to raise her children, she went back to her love for the sport by teaching youth tennis at the YMCA and playing on multiple USTA Leagues where she secured a trip to Nationals with an undefeated season. 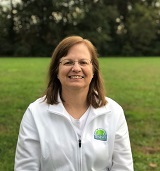 Karen has been with GPTL since 2016 where she helps foster her love for tennis to her students. She has a USTA certificate for 10 and under tennis and is the assistant boys’ tennis coach at Pope John Paul II High School. Andrew Wilson has coached for GPTL since 2010. He has PTR Certifications for 11 to 17 and 10 and Under Tennis. Andrew is a graduate of Lebanon Valley College where he played four years of Division III Men’s Varsity tennis and was a MAC Academic Honor Roll recipient. He has competed in USTA sanctioned junior and adult tournaments and was MVP for the Boyertown Area Senior High School Varsity tennis team. Mark Kauffman has coached for GPTL since 2013 and has over 20 years of tennis playing experience. He was an instructor at summer tennis camps in Lancaster where he developed various lesson plans for children of all skill levels. Mark played competitively as a junior in the USTA Middle States Central Pennsylvania region where he held a top ten ranking and was the number one player and captain of his high school tennis team. Mark is a graduate of Loyola University Maryland.